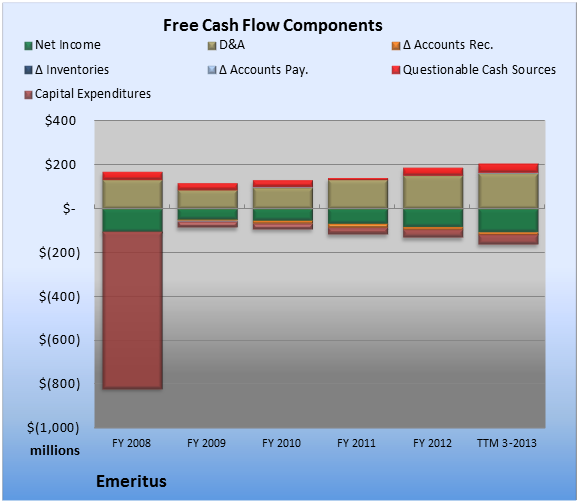 When you are trying to buy the market's best stocks, it's worth checking up on your companies' free cash flow once a quarter or so, to see whether it bears any relationship to the net income in the headlines. That's what we do with this series. 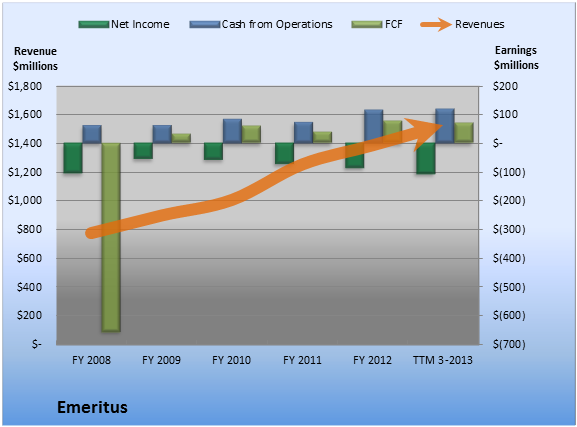 Today, we're checking in on Emeritus (NYS: ESC) , whose recent revenue and earnings are plotted below. The article Show Me the Money, Emeritus originally appeared on Fool.com.